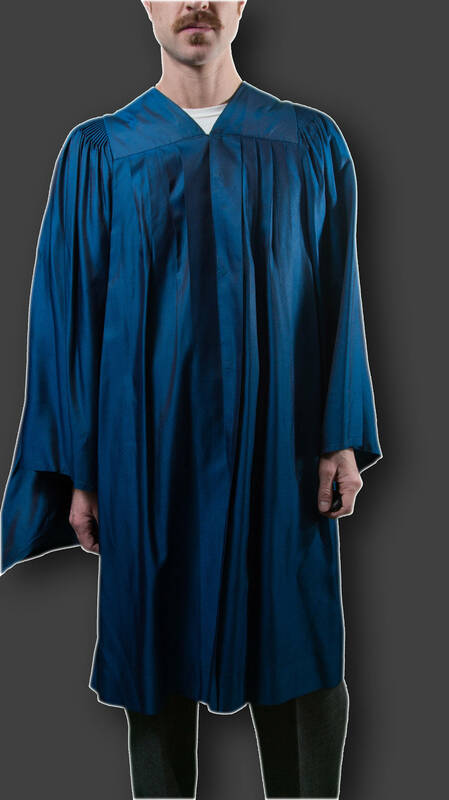 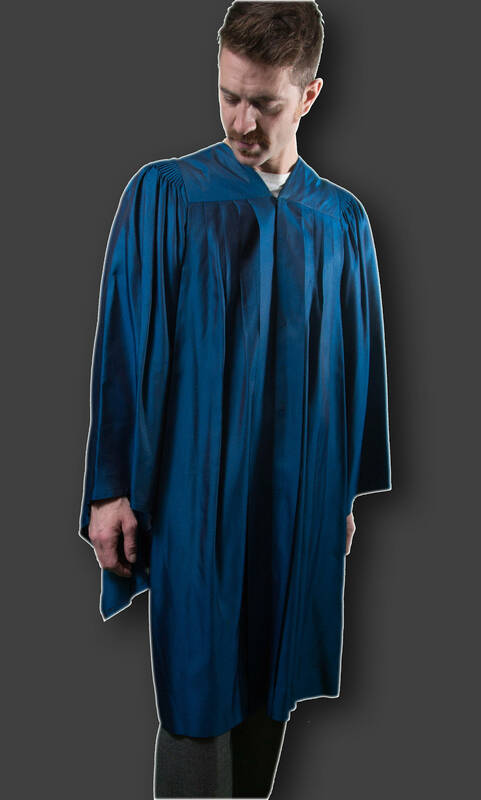 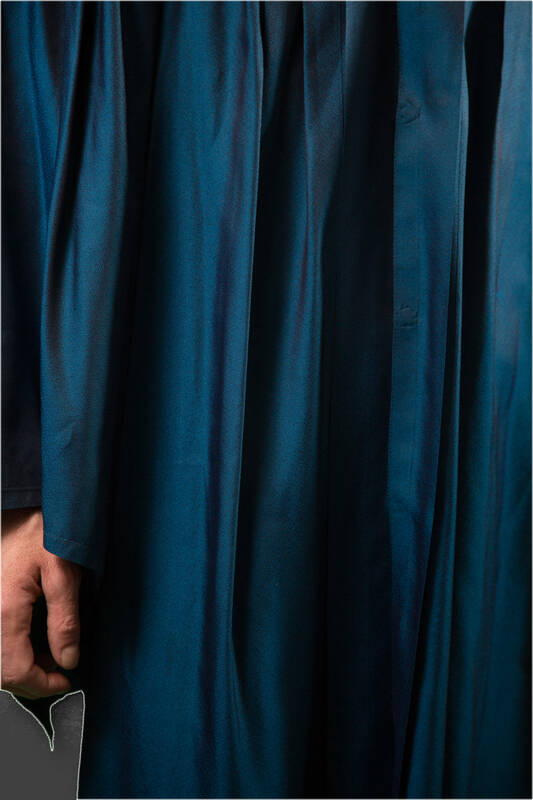 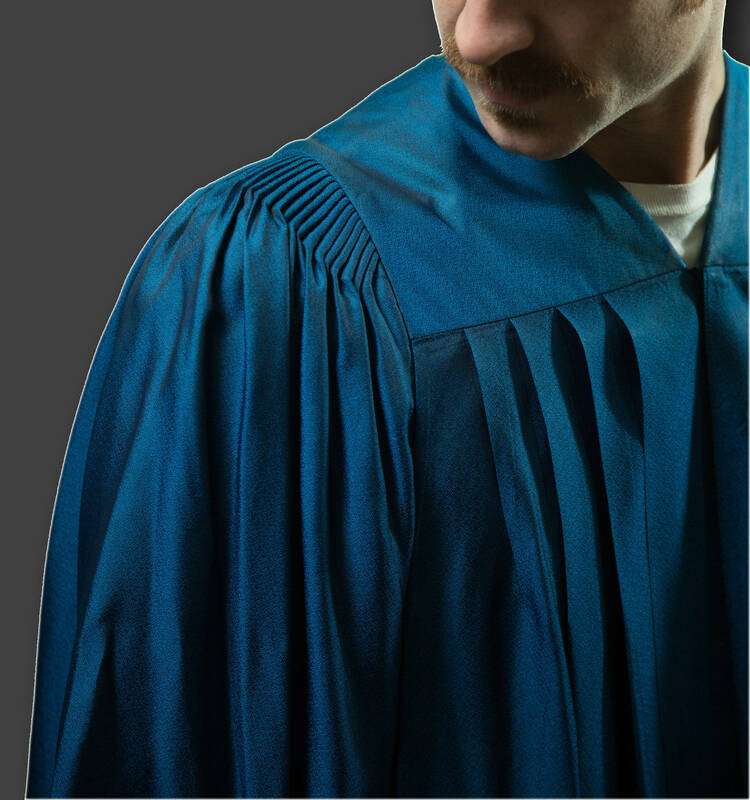 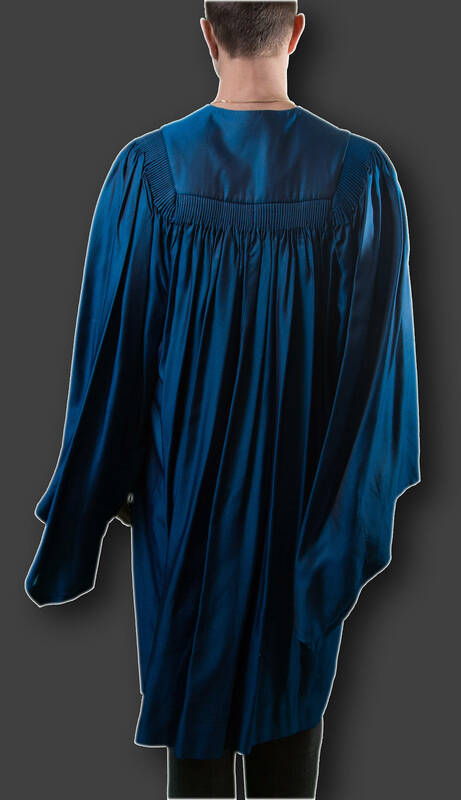 This is an excellent vintage (dated 1983) men's shiny blue graduation gown. 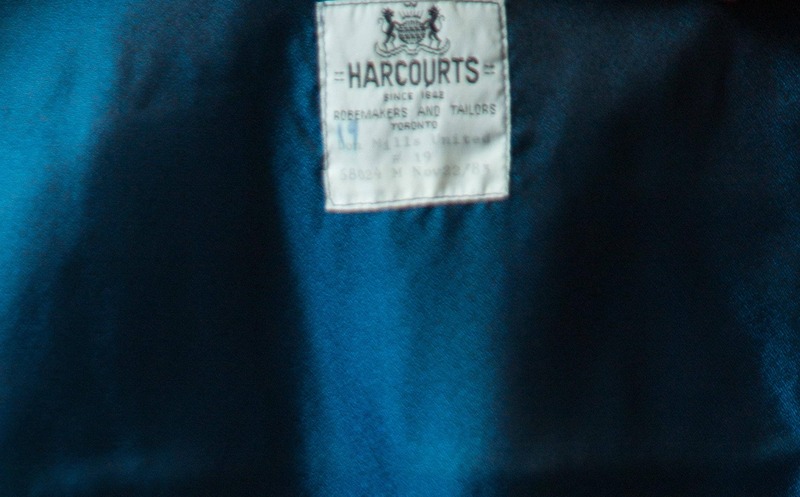 It is beautifully made by a company called Harcourts Robemakers in Toronto, Canada. 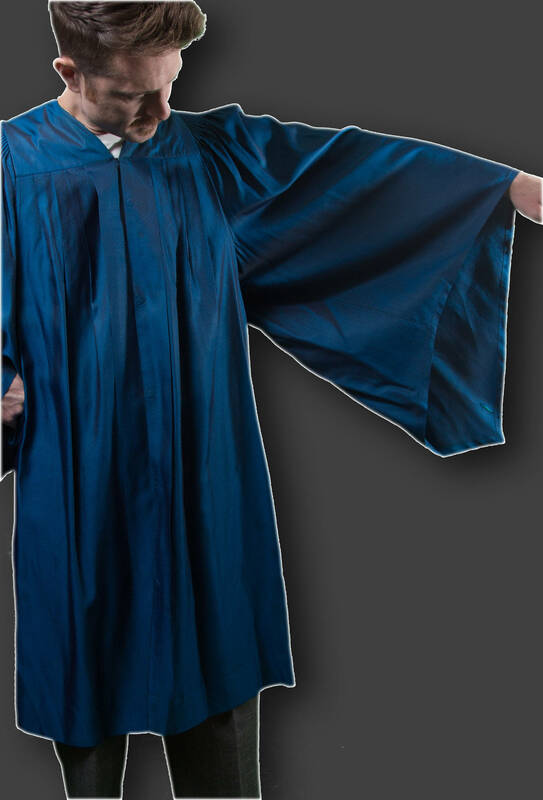 Length from shoulder seam to bottom of robe: 43"
Sleeve Length (shoulder seam to cuff): 29"
Chest (armpit to armpit): flex.